MAJA WEIBE is our Director and has been an Assistant Director with our chorus for several years. She comes to us with many credentials including completing the Director Certification Program (DCP). She has been mentored by our own Susan Maclean, Master Director, and in 2014 she took part in a training experience with Mary Hager, Master Director, of Rythym of the Rockies Chorus. Maja was presented with the Region 26 Novice Director Award during the 2015 Regional Competition in Surrey, BC. Maja is a baritone and a former member of the quartet "Acadia", she is now singing Tenor in a competitive quartet. Maja was born in Stockholm, Sweden, moved to Canada in 2002 (husband is Canadian Musician), she has two near-feral dogs. She studied Music/ Recording Industry at San Francisco State University. 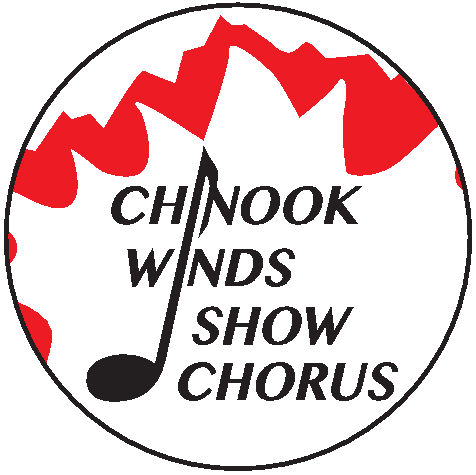 She joined Chinook Winds in 2006. Maja has hobbies (other than Barbershop!) including excessive TV watching, pop culture observing, working out, and the fine art of grain-free baking.